Harrison is just 6 years old but has already undergone open heart surgery, two liver transplants, an appendectomy, tethered cord surgery, and surgical procedures to correct a gastrointestinal malformation. He was born with a rare genetic condition commonly known as cat-eye syndrome, or CES. This chromosomal abnormality is extremely variable, with presentations including craniofacial, cardiac, renal, gastrointestinal, and genitourinary congenital defects. In Harrison’s case, it effected multiple organ systems, requiring several years of various surgeries to correct. We found out the trip was going to require a much longer stay than anticipated. 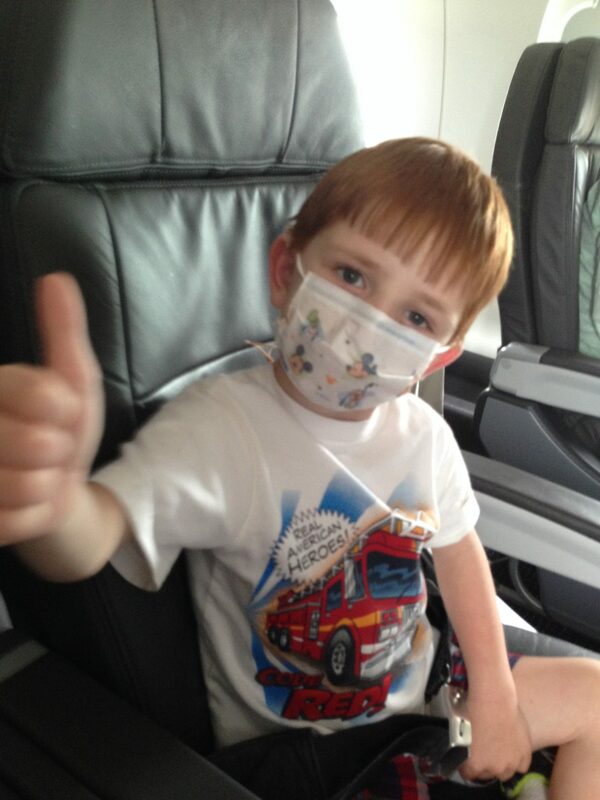 Surgery would require flights since Harrison will be unable to sit for an extended period of time. Thus increasing the overall expense of the trip. CFOH was able to provide flights for Harrison and his mother to Cincinnati so he could receive the complex surgery he needed. We were honored to be able to fly them home as well, so that Harrison could continue his healing journey in as little pain as possible.